Adults grow in excess of 40cm and can weigh up to 500g. Female rats can have between 3-6 litters per year with 5-8 young per litter. Brown rats will burrow underground or into suitably soft material to make a nest. Refuse tips, loose soil under sheds and earth banks are all likely sites. Chewed paper, straw or insulation material may be incorporated as nest material. The gestation period is 3 weeks whilst sexual maturity takes 10-12 weeks after birth. Rats will damage woodwork, plastic and lead pipes and will sometimes strip insulation from electrical cables by their gnawing. They are also capable of spreading many diseases from their filthy surroundings in sewers or refuse tips and can transmit food poisoning, Weil’s disease (from which about ten people and a number of dogs die each year in the UK), rat bite fever, trichinosis and other diseases. Rat Pest Control Measures: Because of their habits a combination of rodenticides placed in tamper resistant bait stations at strategic internal and external locations may be necessary along with traps. In addition to this proofing to prevent repeat infestations should be considered. House mice are brown/grey in colour and are 7-9.5cm long. Their relatively large ears and eyes distinguish them from young or small brown rats. Their presence is usually detected from their dark-coloured rice shaped droppings or damage to stored foods in the larder, packaging or woodwork. Mice contaminate far more food than they consume and they are capable of carrying many diseases, particularly food poisoning. 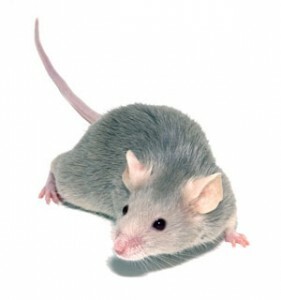 The average mouse deposits 70 droppings in 24 hours and urinates frequently to mark its territory. Mice Pest Control Measure: Because of their habits a combination of rodenticides placed in tamper resistant bait stations at strategic internal and external locations may be necessary along with traps. In addition to this proofing to prevent repeat infestations should be considered.